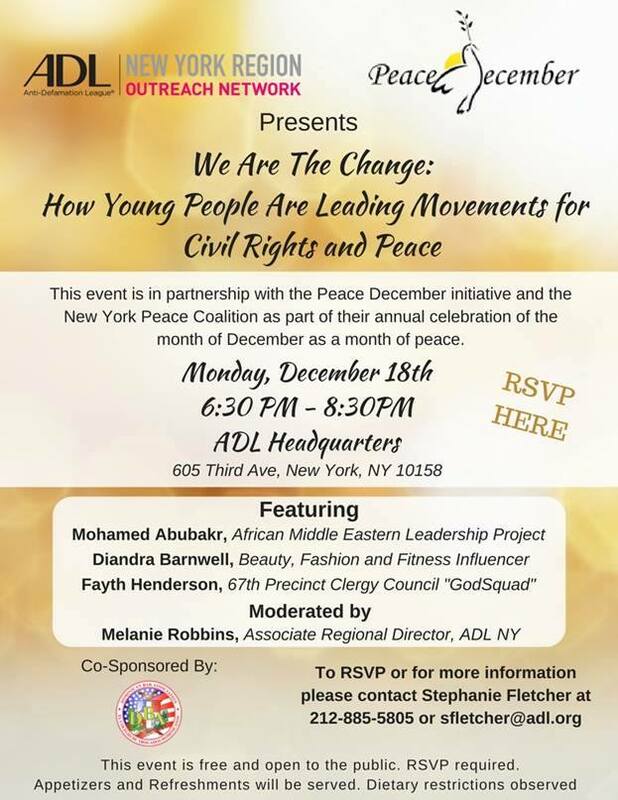 Join Us for "We Are the Change"
On Monday December 18th the Anti-Defamation League's NextGen Outreach Network together with Peace December and the New York Peace Coalition will host a special event entitled "We Are The Change: How Young People Are Leading Movements for Civil Rights and Peace". The event will feature a colorful panel of civil society leaders, including AMEL Project President Mohamed Abubakr. Join us for this timely discussion about the power of youth and leadership, RSVP here.